Under the directives of the Lahore High Court (LHC), E–Challan System has been initiated in Lahore by the Punjab Safe Cities Authority. 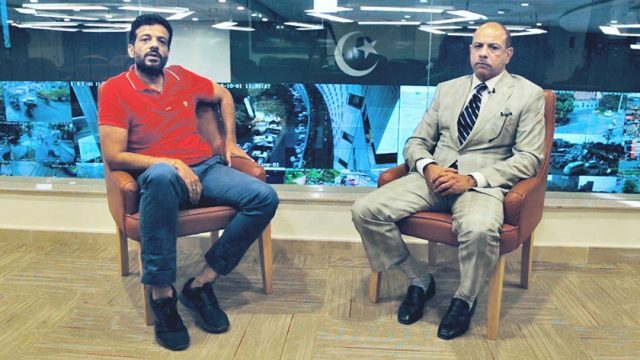 PakWheels.com got a chance to interview Additional IGP and Managing Director PSCA Mr. Ali Amir Malik regarding the E-Challan System and traffic violation it will help eliminate. SSM: What is this E-Challan system? AAM: E-Challan is a part of the project Punjab Safe City Authority, which is aimed at improving traffic management without any human interference. Currently, PSCA is managing 130 roundabouts where there are traffic signals that have cameras, which detects a violator automatically, then we cross-check with the data given by the excise, and then the challan is sent to the registered address. SSM: What is the time duration to pay off the challan? AAM: People will have ten days’ time to pay off the challan after they receive it. SSM: Can you share the fines over different violations? AAM: For now, there is no change in the challan fee. All the traffic laws and fines are the same, we have just digitized the system by eliminating human interference. Read more: How to Check Your E-Challan Online? SSM: When was this project launched and how many challans have been issued so far? AAM: We launched it on September 23rd, 2018, and so far, have issued 10,000 challans over traffic violations. As it’s the beginning, we may make mistakes, but we are working on analyzing our progress weekly and will bring amendments with time. SSM: What is the payment method, can it be paid through easy paisa or any other online medium? AAM: IT can be paid through the bank. Currently, Bank of Punjab is accepting the challan and in future, we will have National Bank onboard. SSM: Wouldn’t it be effective if we issue challans over Whatsapp, using no. available on car registration books? AAM: As mentioned above, we are in the initial phase, and through Whatsapp or any other medium, there will be no legal validation of the challan. SSM: Previously, digital proofs weren’t admissible in the court of law. Are there any changes? AAM: Yes, we sent a requisite regarding this, and digital evidence is now admissible in the Federal law. SSM: What measures will you take against the person who doesn’t pay challan? AAM: The challans that will bounce back, will be submitted to the excise record, so whenever you pay the token money or make the transfer, you will have to pay the dues recorded. Other than this, we are in the process of linking licenses with this. So, your licenses will have the points system and in case of violation, the negative points will be added to your license. If someone keeps violating, it will be recorded through the surveillance cameras’, and then traffic police will automatically know that a certain vehicle has to be inquired. SSM: Can you elaborate on the above process; how will it work? AAM: We will generate the blacklisted numbers, and those cameras will signal the red flag on the certain car no. and our traffic operator will pass on the information to the deployed teams, who will impound the vehicle. But, these things will take time. For now, we are only administering the red-light violation and we want people to support us in making this a disciplined city. SSM: Does this challan apply on the pedestrians, as well? AAM: No, there’s no such rule for the pedestrians. SSM: Tell us about the project regarding universal no. plates for Punjab? AAM: We got it approved last year, after a thorough research conducted on no. plates of 20 developed countries. So, we also decided to make it three alphabets and three digits for cars, and three alphabets and four digits for motorcycles. The fonts size will be bigger, so the camera can read through easily. SSM: Are these cameras night vision? And the flash is blinding, so will there be any improvements in the flash of these cameras? AAM: Yes, these are night vision cameras. We have eliminated the flash factor by using permanent lights. These lights are fitted on gantries; so firstly, they capture every vehicle. Secondly, these are speed cameras and thirdly, we need to alter signal timings as per day and night, and the traffic load will be tracked with the help of these. SSM: How will you deal with the cars having no. plate other than Lahore? AAM: For now, we are not issuing challan on those, but eventually we can get in touch with their excise departments and have it functional that way. SSM: How will you determine challan on cars that are driven under applied for no. plates? AAM: The cars with applied for no. plates should also be impounded till the documents are received. We have been impounding cars with another car’s no. plate or applied for cars. SSM: In 2013, the government passed an Amnesty scheme under which a lot of cars were imported. But those cars don’t get registered at excise now, how those cars will be tracked? AAM: You can leave your concerns at WWW.PSCA.GOP.PK, and we will be sending those to the relevant departments. SSM: Is PSCA also maintaining any portal where people can see the record of the challan? AAM: We are in the process of maintaining the outstanding challans, so if someone is buying a car, they will know there is a challan issued against that number. 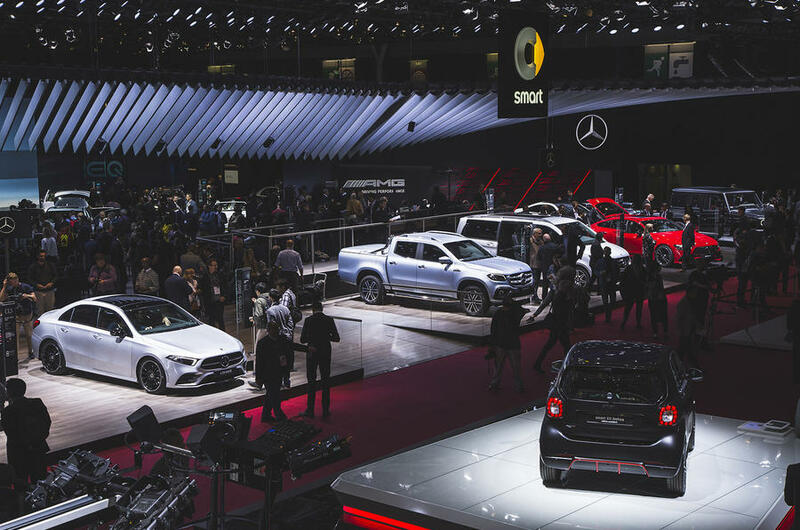 Paris motor show 2018 - Top 4 concept vehicles to look out for!